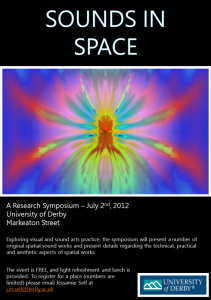 The Creative Technologies Research Group are proud to announce the 2nd Sounds in Space Symposium is to be held on 2nd July, 2012. 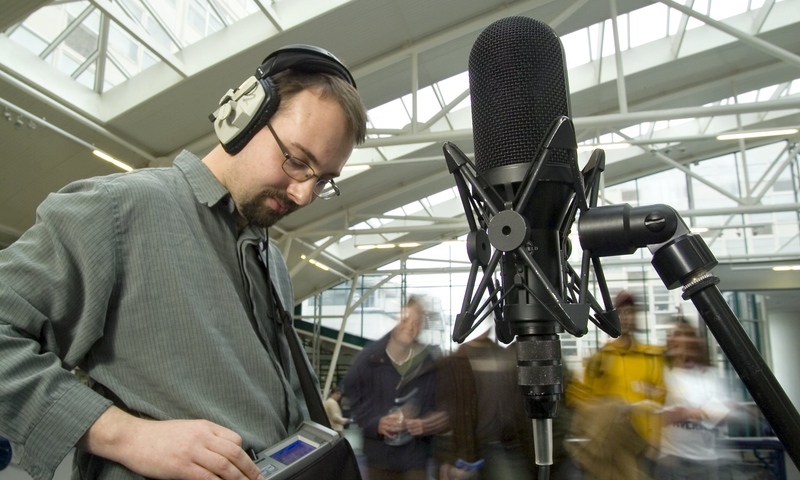 Exploring spatial sound arts practice, the symposium will present a number of original spatial sound works and present details regarding the technical, practical and aesthetic aspects of spatial works. If you’re interested at presenting/demonstrating at the event, please email me at b.j.wiggins@derby.ac.uk by 5pm on Monday 28th May 2012. Abstracts should be around 150 words in length and submitted as a standard Word document. Please also provide a 100 word personal summary (to be used for publicity purposes) for all contributing personnel. 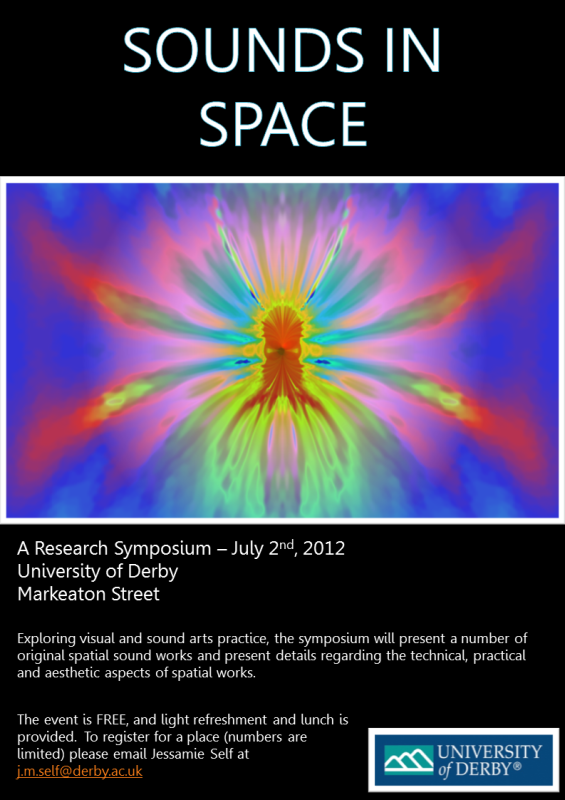 For more details, please look at the Sounds in Space 2012 Page.